Manufacturer code in BMO is use to identify the item from bar code scanner. BMO system is able to generate bar code based on the manufacturer code entered. You could either create a manufacturer code during the creation of a new item or while editing item detail. 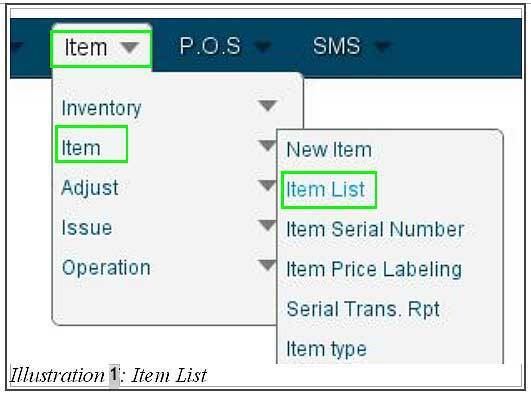 In this tutorial, we will guide you on how to create a manufacturer code for an item. 2. Click on Edit in the right hand side as highlighted in the illustration below to edit the detail of an item. 3. 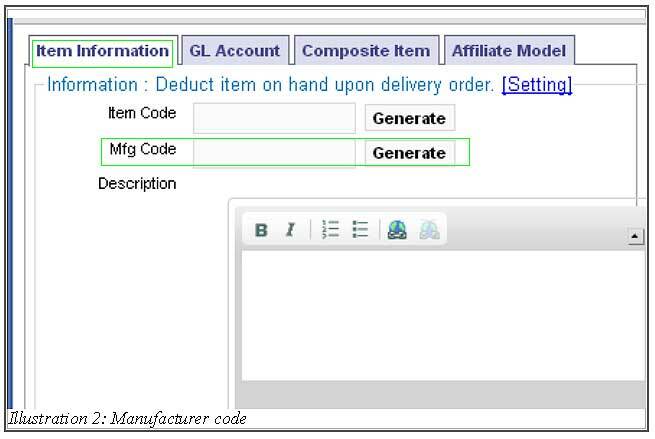 You could generate a manufacturer code by click on Generate button. 4. Now, you are able to view your manufacturer code in your item list. Click on View Mfg to view the code as well as the manufacturer image. You are able to print the manufacturer code too.